IF YOU HAVE ANY THOUGHTS OR COMMENTS REGARDING THE TRAILER. PLEASE GET IN CONTACT! DETAILS AT THE END OF THIS ARTICLE! 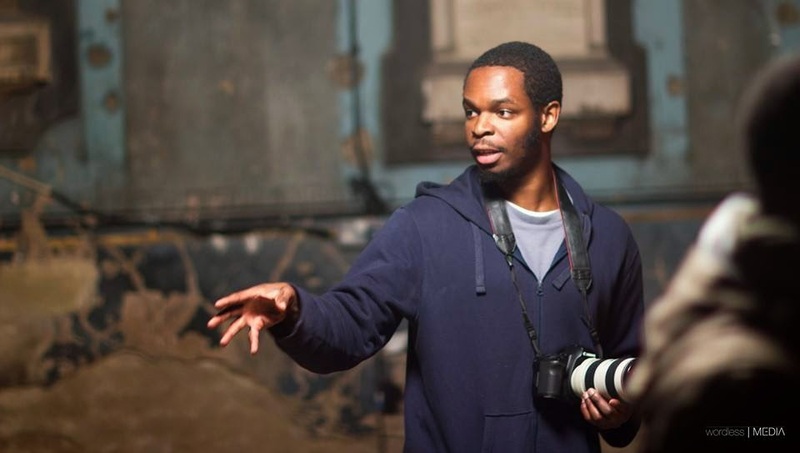 As promised, here is the interview with the Director of the up and coming film: Oya Rise of the Orisha: There were several reasons why I wanted to interview Nosa Igbindeon. Firstly whenever I am reading a review or article about cultural projects involving Orisha, I get quite bored of the language used. Often journalists will use such words as “forgotten”, “resurrected” or ” Ancient”. So I would like to say to all journalists out there that if you are not aware of it, doesn’t mean to say it doesn’t exist. The Orisha are alive and well and living in the consciousness of millions of practitioners all over the world. Yes it is an ancient belief system, but no, it is not forgotten and it is growing and being practised globally. In addition I wanted to interview Nosa from the perspective of an Olorisha. Someone walking the path that can ask different questions than your average journalist, asking questions and voicing concerns from those that are, with good reason, protective, worried and concerned about the portrayal and representation of Orisha in the media. There were many concerns and comments by initiates and practitioners as a reaction to the trailer which you can see above. I thought it would be a wonderful opportunity for Nosa to say something about himself and his vision. We are both London based and it was an excellent opportunity to hook up and find out more about the up and coming film and the motivation behind it. I became aware of the film via one of my Choir members. A crowd-funding page had been set up in addition to a Facebook page and I was very impressed by the dialogue and transparency that came across. Nosa and his team seemed to be open to everyone’s comments and interested in people’s opinions and experiences regarding the energy and look of the Oya character. Enough money was raised to make a short film for the purpose of fund-raising for a full length feature film which says something about the general interest there is out there internationally for this film to be made. Nosa Igbinedion is a London Based Nigerian originally from Edo State, Benin City. Nosa describes his people as an “Ancient group of people residing in the south east of Nigeria.” “We are closely connected and share the same origin as the Yoruba People …. where the Orisha belief system originates from. “ Although there are discussions relating to who came from who, we both ( Edo and Yoruba) know that we share the same ancestry and similar cultural practices and beliefs as well” Nosa is not an Orisha practitioner but he did grow up culturally in an environment where there was story telling that would feature Orisha and he also has family members who are involved in the religion. Nosa had an interesting journey into the film world. He is self-taught and he says that his filmmaking is very much determined by his own path. He is his own director, in the great movie of life so to speak! He can document his interest way back as a child growing up in a London high-rise, no outside space. He made his own TV programs by drawing and cutting out characters. Skip a few years and he started to make his own short films whilst at college. His first Major film was called “The Hydra”. He had no budget and the film was made with the participation of a few friends. It turned out to be very successful. 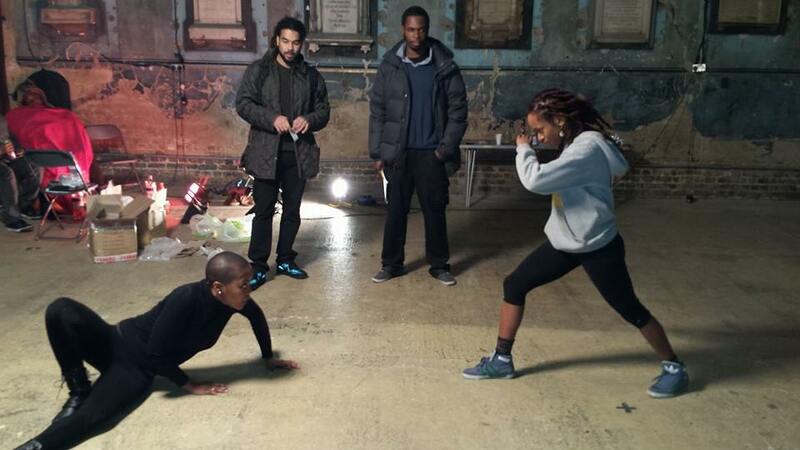 It won a BFM award in the BFI ( Black Film Makers Award as part of the British Film Industry). Which was the largest platform for Black Film Makers at the time (2009). From that point onwards he was introduced to the film industry and has not stopped making films since. He is now at a stage where he is deciding which kind of film he wants to make and which direction he wants to go. 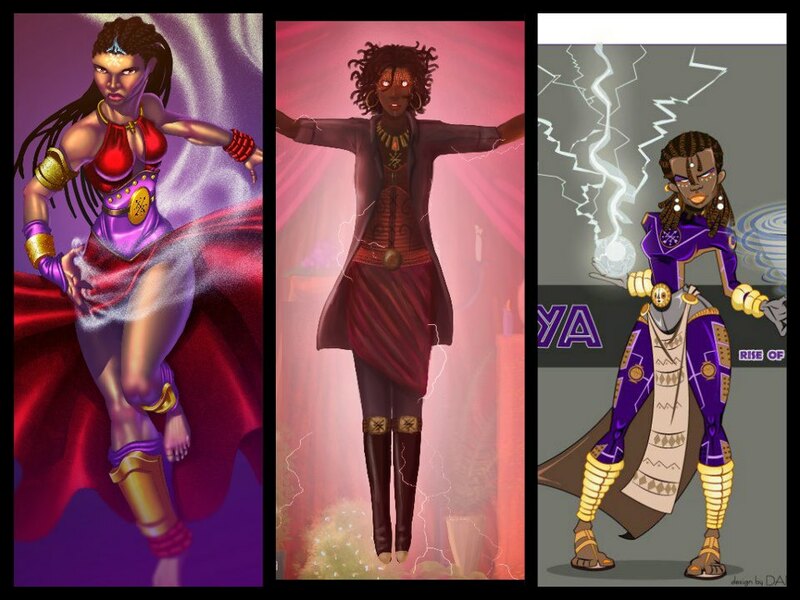 THE IDEA FOR THE FILM “OYA: RISE OF THE ORISHA” BACKGROUND, MOTIVES , AIMS, OBJECTIVES AND TARGET AUDIENCE. Nosa wanted to use the concept of Orisha for many reasons. Firstly as a Nigerian he is naturally Afro- Centric in his approach to life and art in general. He hasn’t been very impressed by film worldwide and also from Africa in terms of communicating the amazing complexities of African Traditional Religion. What struck him in his research into the Orisha tradition was the amazing fact that practices carried out by his Uncle in the South of Nigeria would be similar to something someone would do thousands of miles away in Brasil. He was fascinated by the fact that the energies known as Orisha are worshipped all over the world in different ways and believes that this could be something that could unify people rather than divide them. Orisha should and could bring people together on a human level. This is a motivating force in relation to his art. Furthermore he believes that the path of Orisha is a lot more complex than many world religions and argues that the Orisha are more accessible and connected to us as human beings in a way that other world religions are not. Regarding his research, It was very important for Nosa to be as open as possible. The community so far has funded the project and so public opinion is and will continue to be extremely important to him. The nature of the project is entirely interactive. Concept art was used as a vehicle to engage those interested which included initiates from around the world. A piece of art, for example a depiction of Oya would be released on the Facebook page and crowdfunding page inviting people to comment. The look and feel of Oya as a character was dependent of the feedback from the Public. “ I don’t want to make something that is self-indulgent. I want to make something that is authentic and relates to people’s actual experience”. Through art and dialogue, Nosa was able to build a portrayal of Oya, which he hopes will be authentic. On a spiritual level, he noticed that individuals experience the Orisha in different ways. It is quite subjective. His challenge was to gather together opinions and experiences that united people. 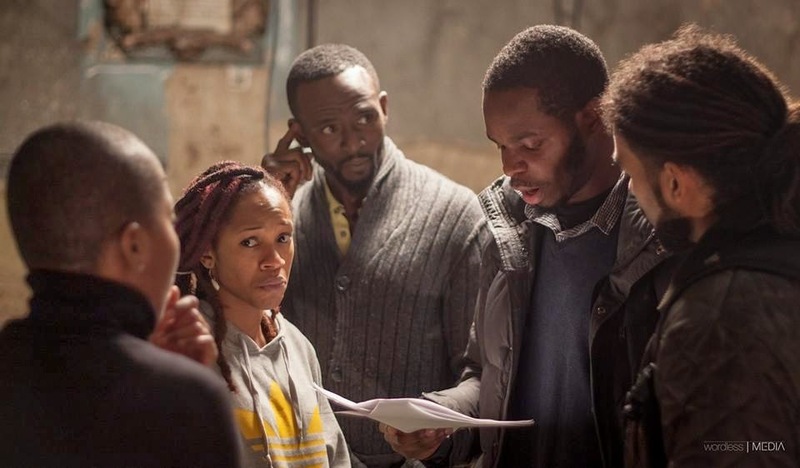 Regarding the feature film, Nosa continues to stress that he would like to engage with anyone who wants to. If people are not happy with the trailer, he is easily contactable and will listen to everyone’s opinions. So here is an open invitation to everyone to write to Nosa rather than just moan about the film! You have the potential power to change the direction if what you see so far you don’t like! Have your say! Get in touch! The feature film is still in the process of being written. In 2011 Nosa won a Scholarship to go to the US and study at the Legacy Media Institute. What he learnt there was that as an artist, everything that you put out into the world is not just entertainment. “Art is Propaganda…. Everything says something about you as an artist. My focus as a film maker is to make films that are as engaging and entertaining as possible… But what I am putting out is contributing to a patchwork of beliefs and thoughts about a subject. My hope is that my work will stand the test of time and also is a testament of what I believe and what I experience” Part of Nosa’s motivation is to provide a different view point to the dominant ideology in the film world which is a White Western one. He disputes the use of terminology which is equated with “doing bad Stuff” in reference to African Traditional religion. (You only have to look at the picture the word “Voodoo” paints to people) In addition, although he agrees that Nollywood is an amazing industry, he states that so many films take on a Western viewpoint.“ I wanted to convey an African based view point and look at topics such as religious intolerance and ignorance regarding the complexity of African Traditional Religion” Hopefully Nosa will dispel some myths. Nosa Igbinedion wants as many people as possible to see this film but specifically would hope that it would engage with those whose point of view is not part of mainstream culture. He hopes also that Nigerians will see this film since there is so little on the silver screen depicting stories and characters that evolve from Africa and the African Diaspora. He wants to reach out to young people and tell an Orisha inspired story in an imaginative and contemporary way, which is why he is not telling stories in a more traditional setting. As our world becomes more media conscious, and young people are growing up in a media saturated environment it is important to rebalance what is being projected in the media, Nosa explains. He believes that film makers and artists can choose to be silent or choose to communicate. Connecting with the young people inspired him to look at interesting genres to present this story. Photography by Olivier Copiel , Reposted from Greg Tate’s Facecbook Page. I asked Nosa why he chose the Superhero idiom. So many comments I had seen, objected to the use of this idiom when portraying Orisha. When talking about his desire to communicate, Nosa said he wanted to use a genre, which was universally visible and contemporary. He believes that in his challenge to communicate with as many people as possible, the Superhero idiom was ideal. There has always been fascination with the Superhero. 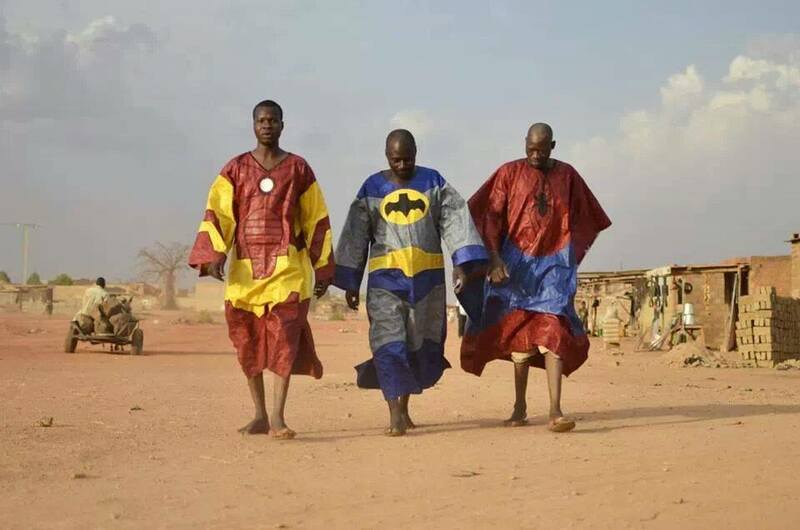 Nosa himself was always attracted by Superheroes and he believes that this fascination is international. His thoughts and ideas about what he understood to be the hero growing up was shaped by the Superhero idiom. Nosa has been into superheroes forever and has done a certain amount of background research. If people understood a little more about the history of the superhero they would understand more about his reasons for choosing the Idiom. Superheroes were developed and projected to mean something Nosa explains. Superman for example was created to signify the ideals of the American Dream. X-men were created in the midst of the Civil Rights Movement and Batman was created during the time of the early prohibition. The genres of the comic book and Superhero are well-developed art forms. It is possible that within the genre you will find work that is trivial and meaningless but at the same time great works of art also exist. It is judgmental to dismiss this art form so readily as childish nonsense. Those that are skeptical should take this all into account. OYA, ESHU and ORISHA REPRESENTATION. Many people have expressed a concern that the film will misrepresent Orisha and it has been a legitimate concern with so much misrepresentation throughout history and currently in the press. I asked Nosa how he could put people’s minds to rest. He again reiterated that he is open to discussion. If anyone has any creative ideas or experiences, or feedback about the trailer, please get in contact. He is reachable and is open to discussion. The most misunderstood Orisha has to be the energies of Eshu/ Elegua. Often portrayed misleadingly as the devil I asked Nosa what he thought of this. “For myself personally, the concept of the Devil and Hell has never made sense to me and I never believed it anyway”…….“ I want to make movies which expand the paradigms of people’s thought process and their understanding of reality.” In many belief systems explains Nosa, there is the dichotomy of God and the Devil, which is a much-accepted duality.”…… “ I wanted to introduce a character which goes beyond concepts of good and evil. What I ask people to do when they see this movie is to use a critical mind and think about what they are seeing. What strikes me about Eshu is that he uses his ability to teach us lessons” Nosa hopes that people will be open minded when seeing the film and not to see it in a one dimensional way. He is not going to sugar coat Eshu as a character but he wants to represent the complexity of his character and asks everyone to “just watch what he does”. mmm sounds intriguing! The reason why Oya was chosen as the main character was inspired after conversations with his father when they were discussing the destruction of Orisha shrines in Nigeria. Some Strong Black female Roles. FURTHER PLANS AS A DIRECTOR. Watch out for Nosa Igbindeon. He is a name to watch. Orisha comes to London. A review of the projects that came to London last year.